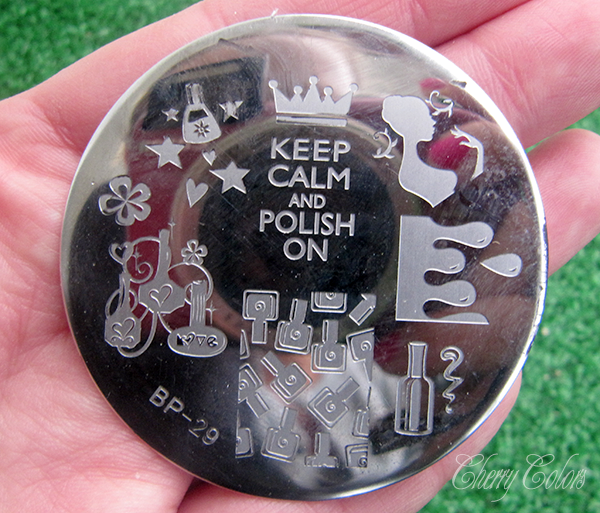 Review: BPS Nail polish Stamping Plate - Cherry Colors - Cosmetics Heaven! 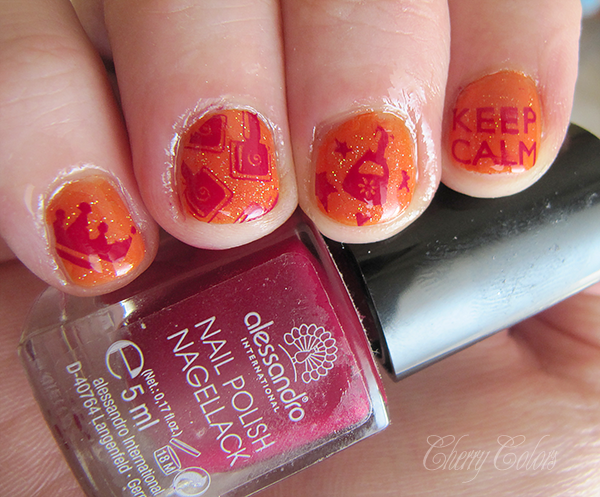 Did you notice that I'm on a stamping plate roll? Like seriously. 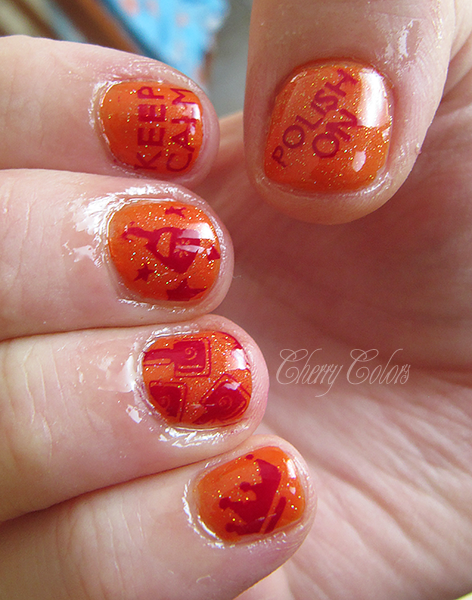 I try to include one plate in each of my manicures. This time I will be talking about a plate that I had for a while, which I received from the Born Pretty Store, because I was a lucky winner from their voting system. I think I had a budget or a list from which I could choose? I am not sure, but I liked this plate. After some searching, I found the plate in their store! Here. I currently have *very* short nails - nubs, so excuse the mess! However, I had absolutely no problem with the plate. It's nicely made, on the back side there's the BPS logo (well lots of small logos), so it's harder to cut yourself on your plate. 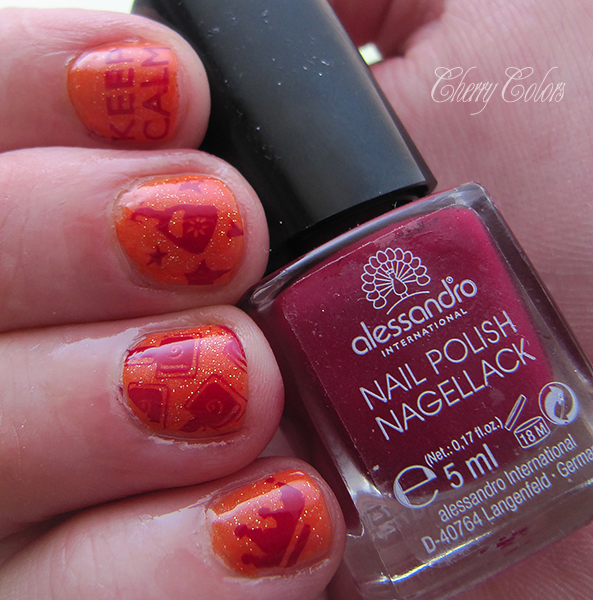 The engraving is awesome and the stamping also very easy because of the good quality. I could stamp all the motives without a problem. But I do wish I would have longer nails to show you all the greatness of this plate. + Easy to work with! I am very happy with this plate. I had absolutely no problems with it, but I do wish there would be a full plate of images, not just like 7 images on the plate. But that's a minor complaint because not everyone wants that. Overall I think they did a great job and now I know why do people love their plates!